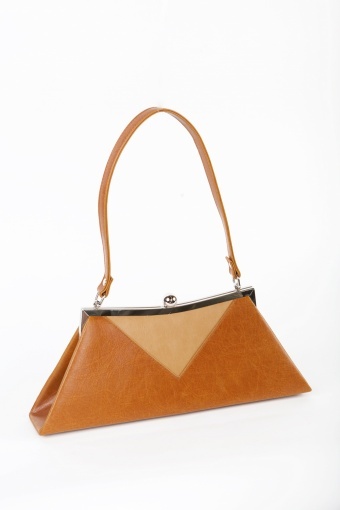 The 50s Vintage Bag Tan from Retrolicious is the perfect vintage purse to match with our vintage inspired clothing. 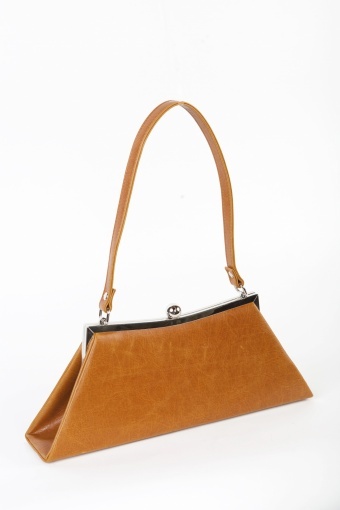 Adorable aard shell purse made of a beautiful quality tan faux leather with a little grain and at the front a duo tone in beige leather. 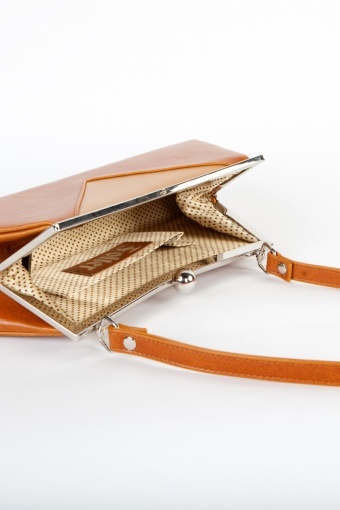 Silvertone clamp closure and irrisistable satin polka dot lining wiht and inside pocket.